Ever heard of the Master Cleanse lemonade diet? 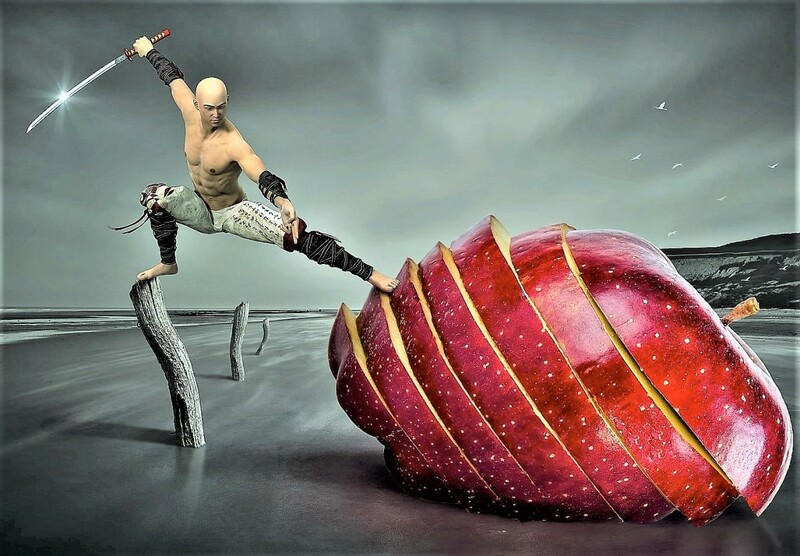 This is a form of juice fasting. Do you wonder why anyone would decide to quit eating and drink only lemonade for ten to forty days? As I'm writing this I'm currently on day eight of the fast, and this is not my first time to do it. So why would I repeatedly force myself not to eat? I'm not as much of a health fanatic as I wish I was, yet my life has been filled with fasting experiences. The most recent effort has been my three experiences with the Master Cleanser, originally written about by Stanley Burroughs. 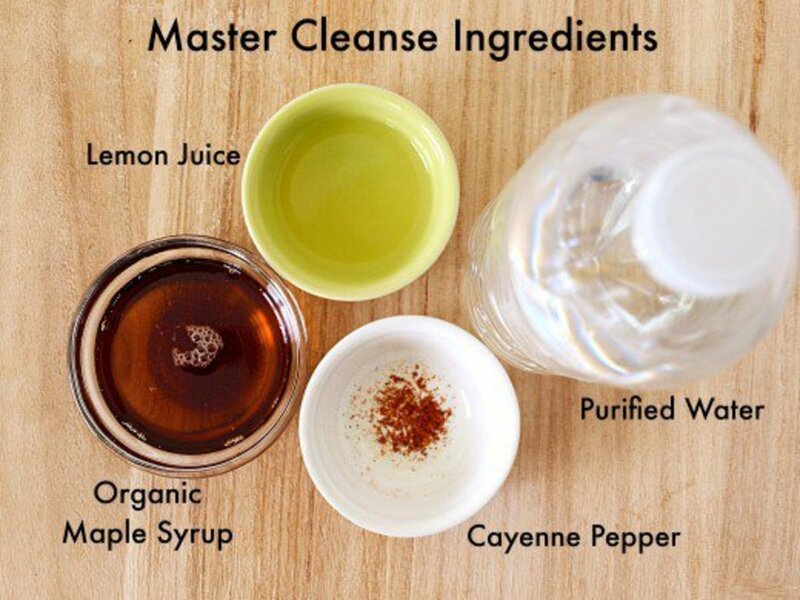 The first time I did the master cleanse I really didn't know what to expect. This was way back in March 2005. I purchased and read the book and bought my lemons and maple syrup, cayenne and lax tea. I just wanted to be healthier! I made my lemonade and took it to work with me each morning in a thermos. At the time I worked in a very tiny office next to our town's only laundromat. It is a very small town. I used the office for webdesign and for my town's online newspaper, which at the time, I owned. One day when I was two or three days into the fast a friend came in and saw what I was doing. He said, "I did that once, a long time ago. I drank only lemonade for ten days, and close to the end suddenly something popped out of my ear." "I don't know, Linda," he said. "Some kind of blockage. I didn't even know it was there but I knew I couldn't hear very well through that ear. Until then. Of course after it came out, I could hear just fine!" Even though I live in a very small town I soon learned he wasn't the only other person in town who'd done the master cleanse. A few days later the owner of a thriving massage business told me she'd done the master cleanse twice, once for ten days and once for twenty! The master cleanse can last anywhere from ten to forty days, but I quit at the ten-day point. My significant other was concerned that the fast might not be healthy for me, and encouraged me to stop. At the same time he gushed over how much better I looked. My skin practically glowed with health, and I'd lost weight. I wasn't suffering in any way or tired of fasting, but at the same time I was looking forward to eating again. After the fast I weighed myself and saw that I'd lost 12 lbs. in ten days. I thought that was pretty cool because I really needed to lose that weight! It set me on the path of weight loss and over the next few months, while eating normally, I lost a lot more. This is the original master cleanse book that everyone is supposed to read before they embark on their lemonade diet experience. It is an inexpensive book, and short. I guess you could call it more of a booklet - only 50 pages, but thousands of people have followed his advice in search of a healthier, more toxin-free life. This book must be read before starting the diet. Learn from the man who originally taught us how it works. He includes an explanation of why we need the cleanse, tells how it should be done, gives suggestions for any complications that might come up, and includes vital post-cleanse recipes. Have you ever heard of this diet before? - ...up until 2005, I hadn't. This is a very popular healing diet. It helps turn the body alkaline and is a great way to fast without getting too hungry. Have you ever heard of this diet before? Yes, I've done it for ten days or more. What we drink... - ...well, lemonade, of course! 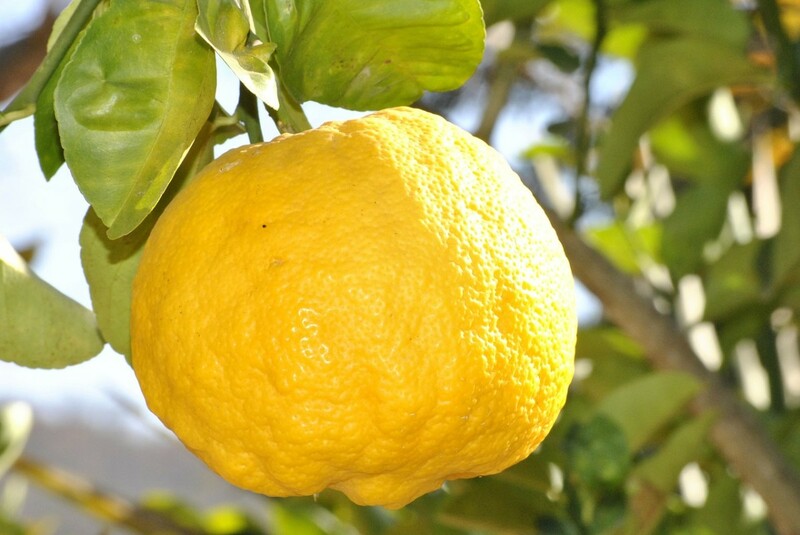 The lemonade we drink on the master cleanse is made with a special formula. To make it I boil my spring water, then pull out my wooden cutting board where I cut a lemon in half and ream half of it, saving the other half for later. I use a quart size glass measuring bowl and set a strainer on top of it, and then ream the lemon over that. I don't want the fibers to get into my lemonade because they would cause my stomach to go into digestive mode. Next I pour the boiling spring water over my lemonade - about one cup. To that I add maple syrup. This is genuine maple syrup, not the sugary fake kind most people use on their pancakes. 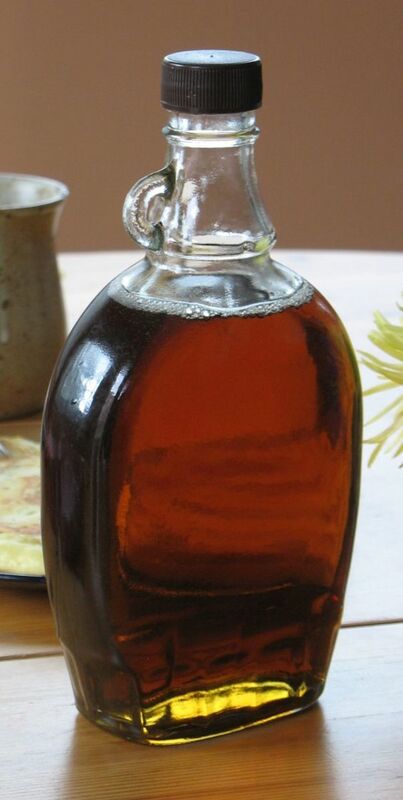 Real maple syrup comes in several grades. The recommended type is grade B. I add about two tablespoons to my cup of hot lemonade. Sometimes I put a tiny bit of maple syrup on the spoon and eat it plain as a special treat, but I try not to overdo that as it will keep me from losing weight. In fact, Stanley Burroughs recommended that people who want to lose weight use less syrup. Once that is stirred in I sprinkle on a very modest amount of cayenne. Some people use more than I do. I don't like it to be too spicy so what I sprinkle on is sort of like a no-thank-you bite. The cayenne helps to open the cells of the body so the lemonade can cleanse them but . . . it is optional so that those who can't hack it don't have to quit the fast just because of cayenne resistance. Actually I didn't do that first fast quite right. - ...I guess I didn't read the book good enough! There's another part to this fast that I haven't mentioned yet. The fast is a CLEANSE and that means toxins must be removed from the body. I didn't totally understand that the first time I did it. I remembered to drink the lax tea at night but didn't realize I should also be doing a salt water flush in the morning. What this means is that the bowels must be emptied and cleared out every day so the large intestine can do its healing work. At night we drink the lax tea (laxative tea) and in the morning we're supposed to drink a quart of salt water which, within about an hour, removes everything that the lax tea loosened and softened the night before. Sorry if this is too much information for you! But it is a very important part of the master cleanse. The whole point is to clean the body's cells of toxins that may cause illness. It is a very effective process that has helped lots of people. The salt water flush is made of one quart, 32 ounces hot spring water, and two teaspoons sea salt or some other kind of natural salt. I like to use Himalayan rock salt because it doesn't affect my blood pressure. In 2008 I worked part time in the mornings in a local pizza restaurant. In my small town, jobs are scarce and I was happy to have the money! At that time I decided to try the master cleanse again. I don't remember what my motivation was. I was probably weighing way too much and thought this might help. Even though I was around pizza every day it didn't bother me. I remember feeling a bit weak at times during this fast, but managed to get to ten days again. This time I was extremely ravenous for food by the time I was done with the lemonade diet. Again I had lost about ten pounds in ten days, and managed to keep it off for the next couple of years. I use this laxative tea at night before sleeping. The goal is to completely clean out the bowels. Good luck with that... it is not a lot of fun, but is great for healing, especially if you've had a diet with animal foods before - meat or dairy. Or is that hunger pangs? Hunger pains are long lasting. A hunger pang is momentary. Either way, there's not a lot of hunger on the lemonade diet fast. Some days you might have food cravings and desires, but many days you can go without them. People on the lemonade diet believe that food cravings indicate periods of intense detoxification. 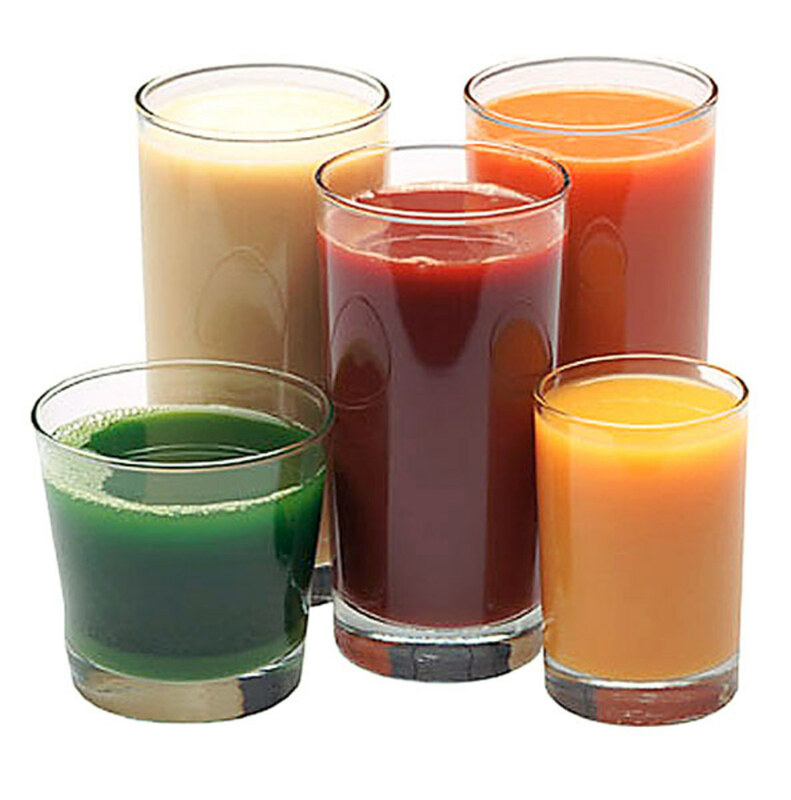 Detox is a well-worn word used by master cleanser dieters. The whole thing is aimed at detox. Some believe that as your fat melts away you may experience feelings, pains, emotions that you felt when that fat was stored in your cells. During my last fast I was obsessed with food - collecting recipes and watching YouTube cooking videos. That seemed to satisfy my food longings. In any case, the maple syrup really helps take away desire for food during most of the ten-day fasting period. This is an easy way to fast while purifying the body. The Spice Lab Pink Himalayan Salt - 1 Pound X-Fine - Gourmet Pure Crystal - Nutrient and Mineral Dense for Health - Kosher and Natural Certified - .5mm"
I love this Himalayan salt. It is great for adding to baths, but perfect also for the lemonade diet... for that salt water flush you're supposed to do every morning. It is more expensive than regular salt. I got started using it because I read somewhere that it doesn't raise blood pressure like other salts, and I have hypertension problems. I don't know if that's true, but I found it to be mild enough that the salt water cleanse wasn't hard to drink. ...how I love the lemonade diet! That brings me to my current fast. When I started writing this page I was on day eight of the master cleanse, and now it's a day later. Day nine, and I feel fine! I haven't had much hunger today. I was slightly weak yesterday but not today. I'd like to tell you about my motivations for doing the master cleanse this time. A few months ago I went to an optometrist for new glasses. He took one look at me and told me to get a certain small bump in my face checked by a doctor. He said it could be pre-cancerous. That frightened me. The bump was indeed fairly new but isn't going away. It also hasn't grown yet. I found a doctor to look at it but with no health insurance I couldn't afford to go in for that examination and one other surgical procedure I'd like him to do. I applied to the county for help but apparently was turned down because I never heard from them again! My phone messages were ignored. I think I probably earn too much for their program anyway. Frustrated with the lack of health care I remembered the master cleanse lemonade diet. 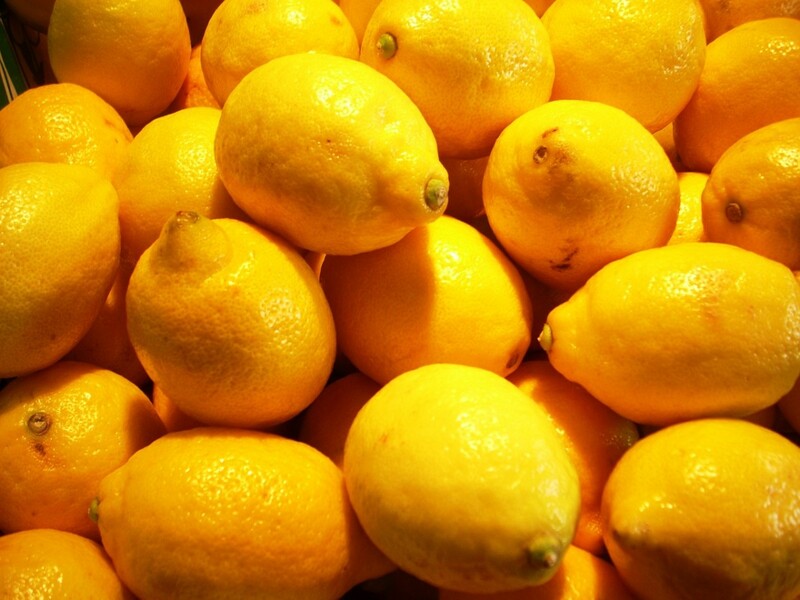 Cancer cannot grow in an alkaline environment, and when lemons hit the stomach they turn alkaline. Inundating my body with lemonade for several weeks is the perfect way to turn my body alkaline. Today I told a friend, "I don't know if I have cancer, but I know I don't have health insurance." Thus the lemonade diet is a radical form of self-care that I believe is very healthy and worthwhile. I confess, I'm also enjoying the rapid weight loss. During the last couple of months I walked about five times a week for two miles, and in that time lost only six pounds. In only nine days I've already lost eight pounds on the master cleanse lemonade diet! There's nothing more motivating than seeing the numbers on the scale change. ...with the master cleanse lemonade diet. My body has reached the state of ketosis, meaning it is burning off fatty acids rather than glucose. The cayenne and lemonade open and cleanse the cells. Toxins are thrown off and that manifests in many forms. Some people feel flu-like symptoms. Others have rashes, or feel weak, or experience intense cravings. So far during this fast I've had a slight rash in a few spots but that's gone away already. I feel weak some days. But that's about all. When a person fasts their tongue turns white as the body eliminates toxins. When the tongue turns pink again, the toxin-dump is complete. This is the best time to end a fast. I don't know if I'll make it that far. I can fast only a maximum of thirty days this time, and I'm really not all that jazzed at the idea of doing a very long fast, even though I could lose a lot more weight. It just isn't all that much fun! It would be cool to know that the elimination of toxins is complete. I will just have to wait to see how far I'm willing to go with this. 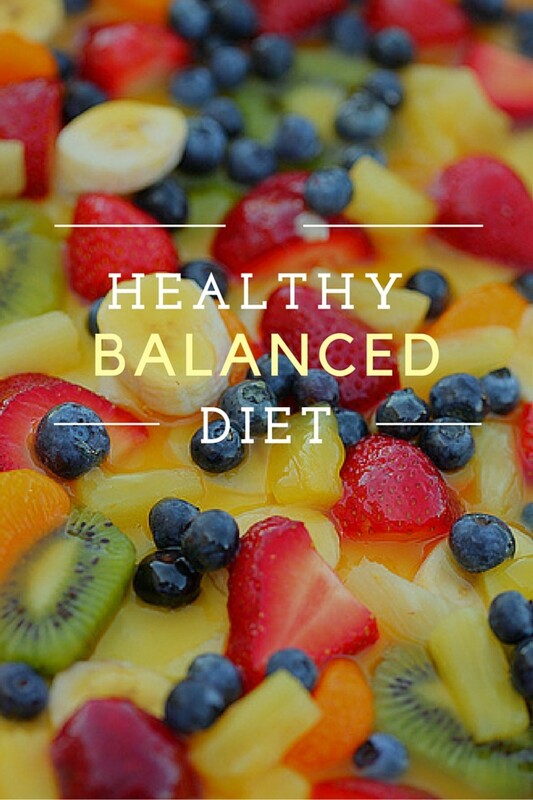 What is the best advantage to this diet? - ...if you were to do it, what would be your motivation? What's best about the master cleanse lemonade diet? Turn body from acidic to alkaline. Yesterday, on day ten, I felt euphoric as if I were floating on air instead of walking. I felt so much lighter! Also I was full of energy. Usually when I'm folding blankets and sheets at the laundromat I feel weak to a pathetic degree, especially in my arms, but yesterday I had no such problem. I breezed through it. Today I haven't had any lemonade yet; I'm still dealing with the salt water flush. Time to get those toxins out of my body. On one of the master cleanse message boards a person posted that she hadn't done the lax tea or salt water flush in a couple of days and now felt terrible - nauseous, weak, tired, etc.. It is generally well known among those who do the cleanse that these types of things happen if the toxins aren't eliminated daily. ...later... I'm drinking limeade! Yes, for a flavor change we can sometimes substitute limes for lemons. A few days ago someone suggested to me to do cayenne shots (as in shot glasses) rather than put it in the lemonade. I've been trying this yesterday and today and love it. It is simple. When I'm done making my lemonade I put 1/10 teaspoon cayenne in a separate small glass, and put a little lemonade over it. Stir, and drink down quickly! To me, it tastes delicious, like enchiladas or mole. Then I can drink the rest of my lemonade without the cayenne and that tastes better to me. Update: Day 15 of the Lemonade Diet - ...continuing with my detox. The last couple of days I thought about ending my fast soon, but today I no longer feel that urgency. Living without eating isn't as hard as it's cooked up to be. Maybe 'cook' isn't the word to use right now. I'm generally better off when my friends aren't talking about cooking, yet I'm A-OK with reading about vegan cooking on the internet. I've lost only ten pounds, and am somewhat disappointed about that. I was hoping for about a pound a day but that isn't happening. Still I'm very happy with the ten pound loss. I won't get to my goal weight during this master cleanse but will continue to eat healthy - primarily vegan, gluten-free raw foods, and will go back on the lemonade diet each time I hit a plateau that lasts more than a week. I have a lot of weight to lose. Last night I ran into Mimi Kirk on YouTube. What an inspiring woman! She's 72, a long time vegetarian, and a vegan raw foodie of a few years, and she looks terrific! Something tells me she's always looked terrific, but at 72 she looks 50. I'm putting a link to her book here to remind me to buy it soon. ...did you know this was coming? If you plan to start the master cleanse diet it is very important that you read Stanley Burrough's book first, and you might want to see a doctor as well! Of course not all doctors will agree on the sanity of fasting, but you might have some health condition that would be aggravated by the fast so checking is a very good idea. Is fasting good for you? - After reading all this, what do you feel about fasting? Your opinion - is the master cleanse lemonade diet good for health? ...be careful what you eat. Breaking the fast must be done slowly and carefully. In his book Stanley Burroughs explains the process in detail. Basically it requires a three-day process that begins with a day of drinking fresh-squeezed orange juice. The next day vegetable soup is introduced for dinner. The third day includes a salad. Read the book for more information. Everything you need to know is in there. Support while you're on the fast - ...it helps to have friends! 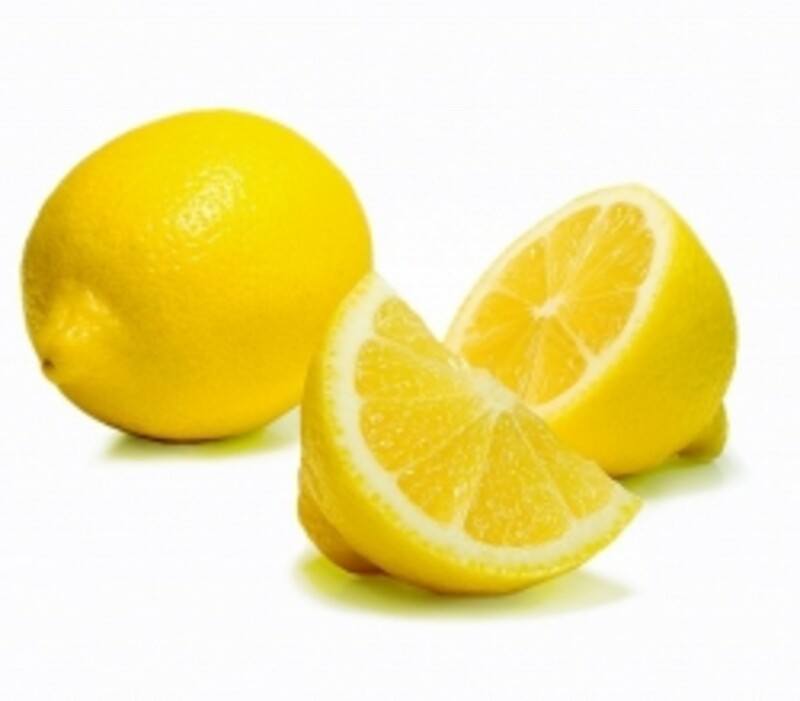 A friendly, small forum for people doing the master cleanse lemonade diet. Yes, I'm planning to do this again. April 2013 - I'm not sure when I'll do it again, but I'm sure that's in my future. Right now I'm on the candida diet which limits the kinds of sweeteners I can use. Maple syrup is not allowed. Once I feel I've licked the candida, I'll definitely schedule another lemonade diet fast, as I could use more alkalinity in my system. I have issues. Any comments? - ...tell me what you think! Very intriguing. I'll be checking out that book recommendation. Yes. Many articles that I have read since 2009 - people say "Do not do it !" - and they felt worse - and made them sick - and complained about salt flush that they did ONE TIME IN 10 days . Okay, they must not have read the 2 books I read about the lemonade cleanse! Must follow book guide lines ! I think salt cleanse every morning - makes more sense and tea every night as suggested in this article. I personally know people who did lemonade cleanse and quit and went back to eating toxic junk food ! The lemonade cleanse is not a FAD. eating Vegan and Organic foods is not supposed to be a FAD. Its Change ! 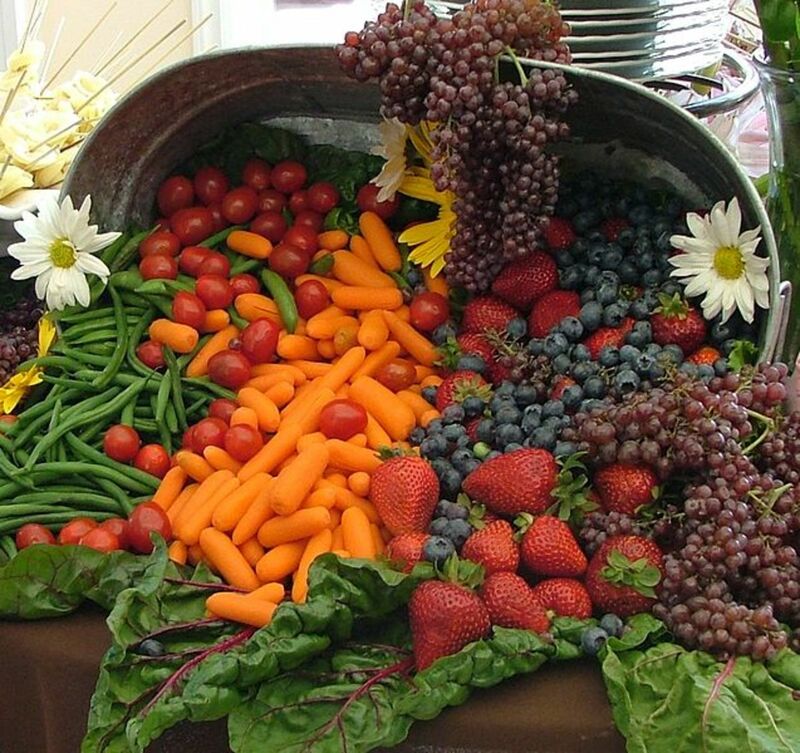 Your Life of what you put in your mouth daily ! Also, in the book - states - NO MEYERS LEMONS !!!! and very important to know - After you cut open a lemon - after 10 minutes of air exposed lemon insides - LOSE THEIR ENZYMES ! cut lemon open &amp; eat the juice ASAP !!!! That is in the newer revised Lemon Cleanse book ! Google it ! Lemonade cleans I found in an old Amish cookbook! They did cleanse on first day of Spring, Summer, Fall and Winter! Is explained in Amish cook book why they drank lemons ! Wake up people -humans are walking toxins! domino affect with health issues! Doctors say to Pop a pill 4xs a day ! Magnesium deficence is a Hugh problem. Calcium &amp; magnesiym levels in the body must be in balance. Does not matter if you do not believe in eating lemons everyday and or doing lemonade cleanse. It works. I also take chlorella pills daily since 6/2013. Removes heavey metals frm body. Karmic energy - cancer - colon cancer big deal in usa Yes. Many articles that I have read since 2009 - people say "Do not do it !" - and they felt worse - and made them sick - and complained about salt flush that they did ONE TIME IN 10 days . This diet sounds a bit radical for me. Also lemon is acidic and therefre totally unsuitable for people who need to avoid acidic foods. It is obviously good for you so I guess you are very lucky to have found something that works so well for you. @anonymous: Lemons turn alkaline during digestion and in fact can turn your entire system alkaline during prolonged lemonade fasting. I have done 48 hours fast in the past and I always feel better afterwards. I think I might try it out for a week with the instructions above. Thanks for sharing! Thanks for sharing your experience. My mouth is watering just thinking of all the lemonade I can have. This lens is very informative. Thanks for sharing this great information. @anonymous: You're not supposed to ... that would re-start digestion, and prevent ketosis, which is what this diet aims for. The maple syrup and lemonade and cayenne should have all the vitamins you need for the duration of the diet. This is as I understand it from reading the book and my own experiences. Some days you'll feel more energetic than others - probably because of the amount of toxins being eliminated varying from day to day. Does anyone know if we can still take vitamins while on this diet? Great lens, lemons are great. I plan on starting this within the next couple of days. I am not on any medications, but take several vitamins. Does anyone know if that is allowed? Glad to read your experience with this cleanse. I'm inspired to read up on it some more. I'd like to find out if I could use raw honey instead of maple syrup. Thanks so much this has helped loads. I'm not doing the cleanse for weight loss but cause I'm worried about the amount of toxins in my body especially with all those GMO foods such as pot noodle. Look up GMO on YouTube amd you'll realise how dangerouse they are. Again thankyou for the advise. I would love to try this diet. Hi, this is my 11th day of the cleanse so far so good. At first I just had a problem w/ the sea water flush I vomit them all but after 30 mins I run to the toilet. My family members see the result they said I really lose weight. I'm planning to do this for 15-20 days until my bday next month. Thank you for sharing your experiences with the Master Cleanse Lemonade Diet. I had never heard of it and found this very interesting. Well I have a midday snack on the cleanse.. Two large pieces of Romane lettuce, cashew butter spread for flavor then I top a row of bananas and roll it up. A great pick me up! That keeps a little bit to digest but keeps me going much longer than the norm.....Boy does that taste good when I have it...Yummy! Very interesting how you took us through the whole process. I was watching the Howard Stern show years ago and I believe that is the plan Jackie, his side kick, was using. I believe she did very well towards a weight loss goal. There is no way on earth I would be able to tolerate drinking a laxative tea. It sets off extreme pain in my body. I would love to try the master cleanse lemonade diet. Great lens! I've. Done the master cleanse a few times and I feel fantastic after. This is a scary concept to me. It sounds like you are having success with it and I'm sure our bodies are full of toxins. I'm just doubtful that I could stick with it for even one day. Interesting lens, thanks for sharing. @eccles1: It is soooo healthy! I need to do it again soon. Yes I have done this cleanse ,it works and it's natural. Good lens.I think it's really good for dieting.I like to drink lemon water in the morning.Thanks for sharing nice information. Yes, it does work with lemon detox! These are lots of lemon trees in our neighborhood, so we use fresh lemon practically every day. My 97-year-old neighbor has a beautiful Meyer lemon tree that she planted back in the 1940s. She drinks lemonade year round. I had not heard of this lemonade cleansing diet, but years ago someone told me to begin my day with a cup of warm water with lemon juice added BEFORE beginning my days' eating regimen and it would act as an appetite-suppressor... which it did. :) Perhaps this was 'related' to what you describe here. @Lilly-n-Lloyd: Welcome back to master cleansing, Lilly-n-Lloyd! @claudiatuli: It all came from the heart! Thanks for stopping by, Claudia! @anilsaini: Thanks so much for coming by and reading! I don't think that my comment took in your above poll so I'll say here. I have done this many times and it is amazingly wonderful. You don't feel tired. In fact there is more energy, I lost weight, wasn't hungry and will be on it again in 2 days. I love it.